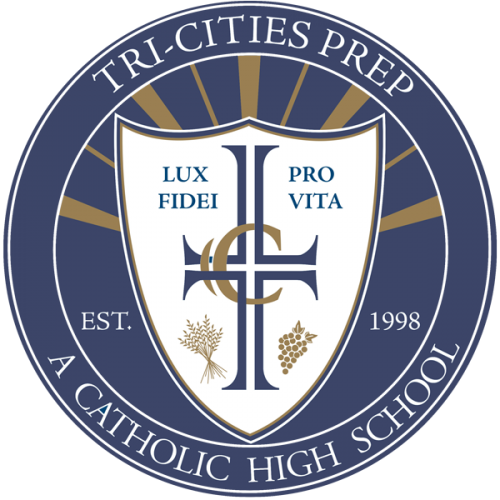 At Tri-Cities Prep, it is our privilege to work with you as you consider Tri-Cities Prep as an option for high school. We hope to provide you with the tools needed to be successful both in school and in life. Our college preparatory program of academics, athletics, activities and religious formation help prepare our students to be future leaders in a challenging and rapidly changing world. Tri-Cities Prep’s unique, rigorous, college preparatory curriculum is designed for strong students who are motivated to learn and grow in a Christian, Catholic community. We are committed to developing young men and women who can live creatively, constructively, spiritually, and critically within the ambiguities of a rapidly changing world. The goal of the admissions process is, therefore, to admit a diverse body of students who will share and contribute their energies and special talents toward this mission. Every effort is made to be fair and to balance the needs and desires of the students and their families with the needs and goals of the school.